MINNEAPOLIS/ST. 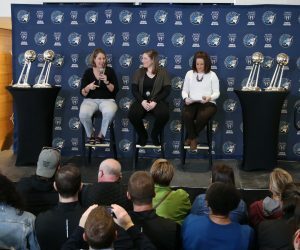 PAUL – The Minnesota Lynx today announced the team has re-signed forward Cecilia Zandalasini and has signed free agent forwards Lynetta Kizer and Endy Miyem. Per team policy, terms of the deals were not released. 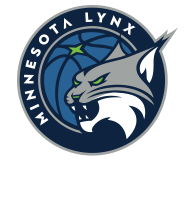 Zandalasini, a 6-1 forward from Broni, Italy, completed her rookie season with Minnesota after signing as a free agent on Aug. 28. She saw action in the final three contests of the regular season, totaling 19 minutes, two points and one rebound. 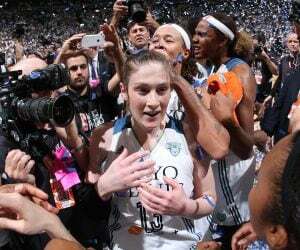 Zandalasini appeared in five playoff games, contributing two points and one assist in 11 minutes en route to her first WNBA title. She is currently playing for Famila Schio, averaging 9.5 ppg and 3.0 rpg in 13 Italian league starts and 10.9 ppg and 3.5 rpg in 11 EuroLeague contests. A six-year WNBA veteran, Kizer played in 20 games for Connecticut last season, averaging 6.0 ppg and 2.9 rpg in 11.9 mpg while shooting 48.0% from the field. 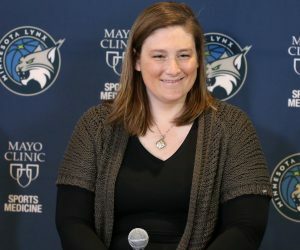 Originally selected by Tulsa in the 3rd round (29th overall) of the 2012 WNBA Draft, the 6-4 forward has also played for Phoenix and Indiana during her career, highlighted by a trip to the WNBA Finals with the Fever in 2015. A Maryland graduate, she tallied a career-best 9.6 ppg (55.6%) with 3.2 rpg in 33 games for Indiana in 2016 and holds career averages of 6.2 ppg and 2.9 rpg in 13.5 mpg, hitting 48.5% from the floor and 80.9% from the line in 166 contests (28 starts). Miyem, a 6-2 forward from Reims, France, is in her second season with the Italian club Famila Schio, where she is averaging 10.8 ppg (48.4%) and 3.9 rpg in 13 LegA games along with 9.2 ppg (48.5%) and 3.0 rpg in 13 EuroLeague outings. A two-time Olympian, she was part of France’s silver-medal-winning entry at the 2012 London Games and was the team’s leading scorer (10.6 ppg on 51.5% shooting) in 2016, when they placed 4th in Rio de Janeiro. 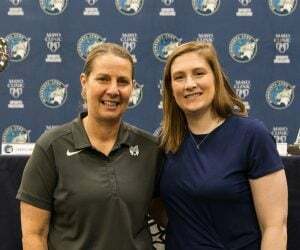 She has also represented France at the FIBA World Championship for Women in 2010 and 2014 and has played at the club level for Dynamo Kursk (Russia) and Bourges (France).